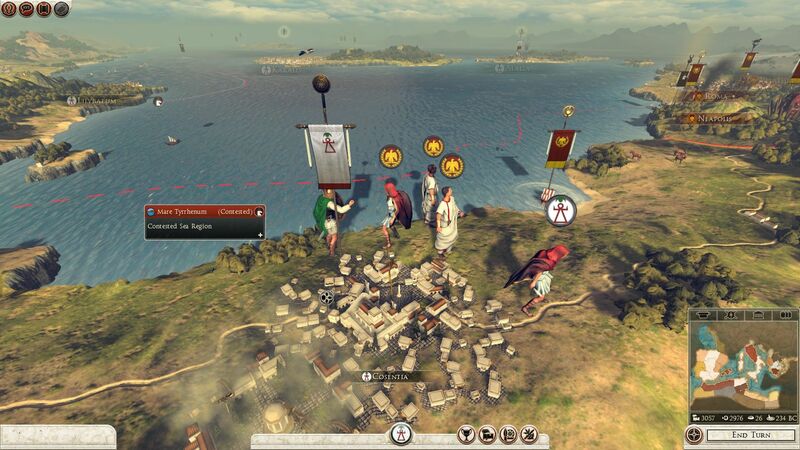 Rome II released and did not rate well (review, review, review, metacritic). 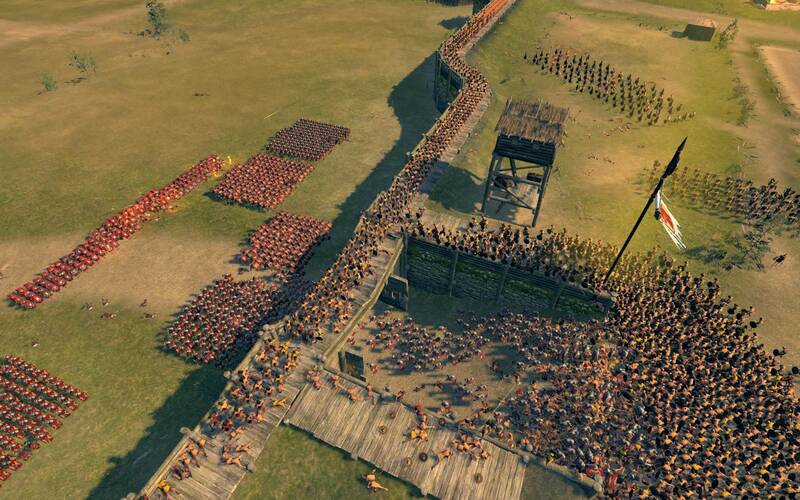 It was considered the dodgiest Total War release of all time – and that’s a pretty big call. Empire in particular, but all the Total Wars are pretty famous for having broken AI, bad balance, and various serious bugs straight out of the box. 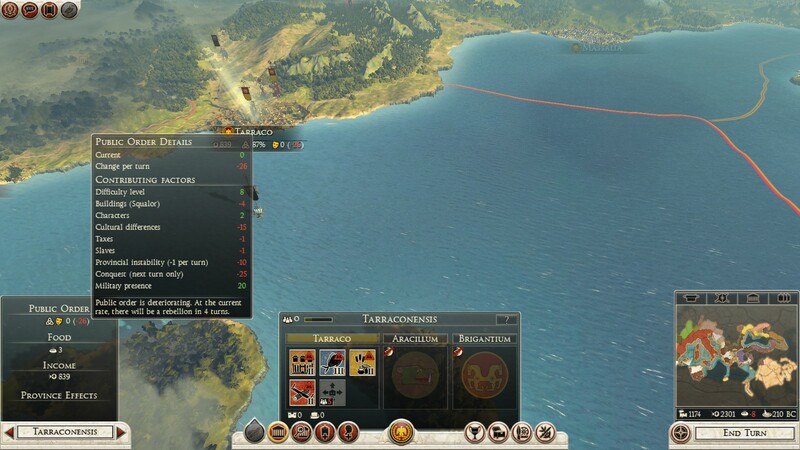 So for Rome II to be the worse ever? That’s quite a feat. By the time you install the final versions of these mods the games feel totally different, and satisfyingly awesome. 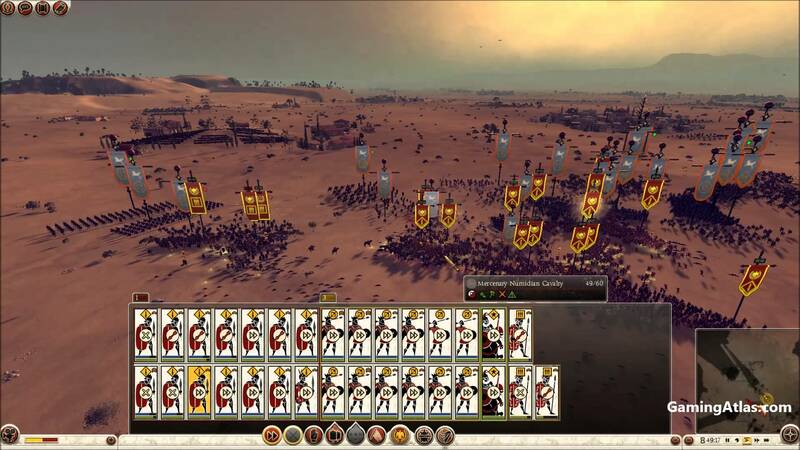 You soon realise – as much fun as you had with the default campaign, this is real Total War. Just to go on a quick tangent, I think this is a good idea for them, but I’m a little dubious about continuing to reward companies for this strategy. It is perhaps a little more honest, but ultimately, aren’t we still just paying for a dodgy version of the game? Who waits until release when everyone else has already flogged the game? For all of the games of which I’m part of the early release program, they really have no sign of “proper” release on the horizon. Minecraft, famously, was in “paid-beta” for 2 years. By the time it was released, its time in the limelight was spent. So I’m quietly impressed that Rome II has, after just 3 quick patches (with a 4th in the works,) basically caught up to the other Total War games in terms of life-cycle. 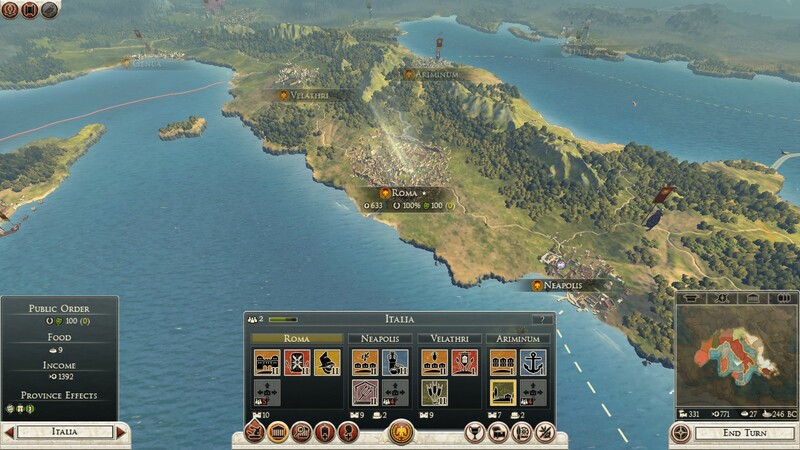 And Rome has some significant advantages over previous titles that actually makes me very excited for its future. Turn times taking 5+ minutes to process. Beaching boats left men stranded and unable to unload. Co-op desync errors ruining multiplayer campaigns. Sea combat devolving into a series of bumper cars, sinking after a few taps taking hundreds of hardened warriors with them. Terrible graphics due to graphic card memory issues. I originally opened up the tutorial / prologue campaign and ran into most of these issues in the first 30 minutes. Although annoying I thought I was just missing gunpowder… I couldn’t get into it so I closed it down. Recently, armed with Patch 3, I’ve started it up again. It’s amazing the difference these fixes have made. 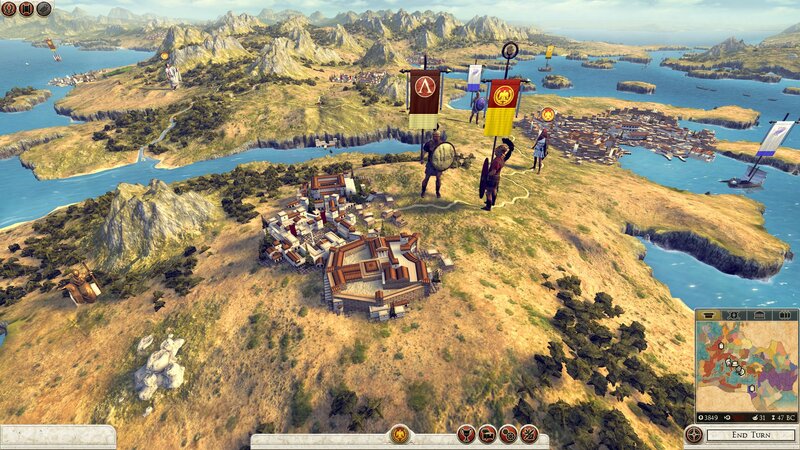 However, there are some design-flaws with Rome II that I’m sure won’t be patched. 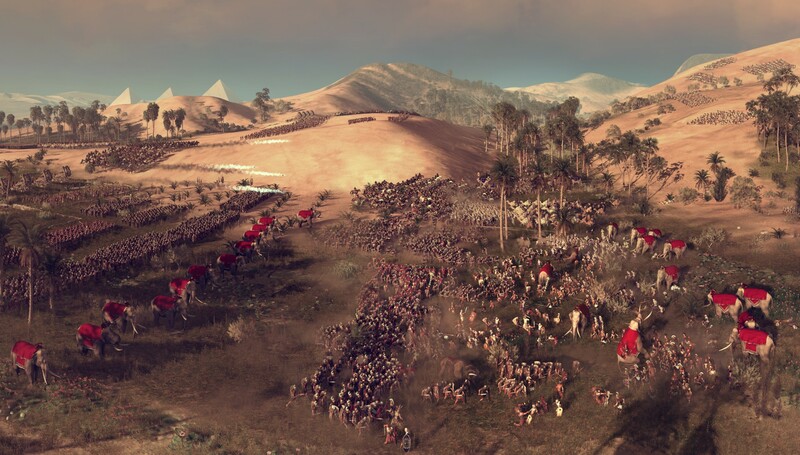 This is typical for the Total War life cycle. As such, I fully expect the default campaign to play well enough with these “features” but some excellent mods to come out that will fix them up. “Magic buttons” everywhere. A general with a few levels starts to get a ridiculous number of abilities. Yes, they make some pseudo-sense (“inspire”, “warcry”, “fear”) but it’s just ridiculous that you can keep your general selected and repeatedly hit buffs and debuffs. One, or maybe two, abilities that have a specific use, but general buffs and debuffs should just be passive. Now consider that basically every unit in the game has at least 1 magic button. For example most ranged units have Rapid Reload that inexplicably makes a unit fire faster for a period of time. Why were you slackards not firing as fast as possible already!? This is all along with buttons that legitimately change your units mode complete with advantages and disadvantages (i.e. they’re situational); for example, Shieldwall or Testudo Formation. Balance issues. Testudo formation is worse than simply marching into missile fire. 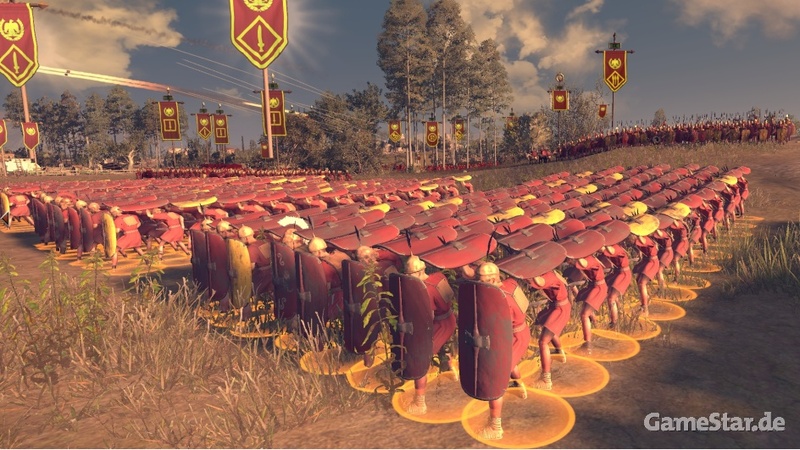 Low-level Roman units are as powerful as other factions elite units. The list goes on. To be fair, you probably won’t notice most of these on your first play-through. Combat will probably always be too fast, and running costs basically no stamina. I expect CA are going to leave the combat fairly fast and being able to run far too much is all part of that. To keep it “exciting.” I find it far more exciting carefully managing stamina levels and actually feeling challenged in fights… but I guess that’s just me. 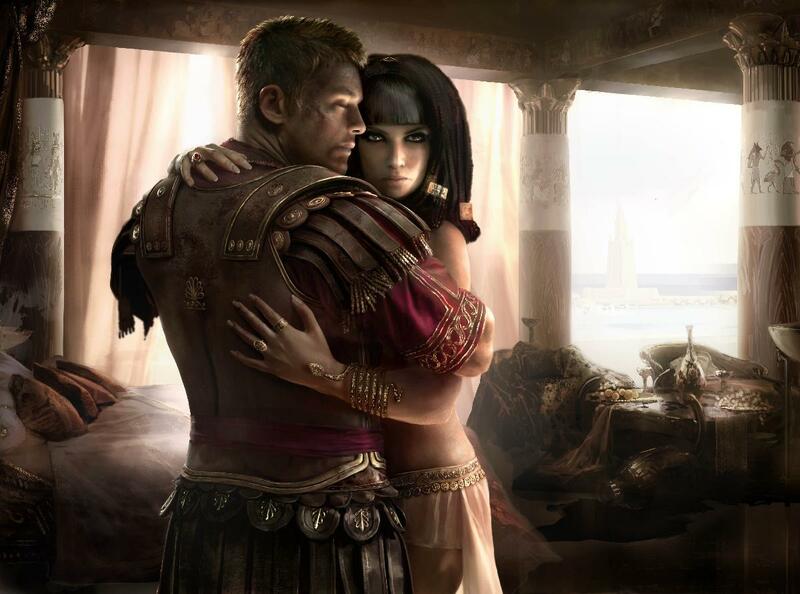 Political intrigue basically “switched off.” Rome has a whole system of internal political strife to go with the military conquest. You might get a general who is so successful that he gets an enormous amount of gravitas. Combined with his ambition trait you might find a man, leading all your experienced legions, that suddenly wants your job. From what I’ve heard… the ideas are in place, but it basically never actually executes. Now, with all that out of the way, I’d like to look at what Rome has done right. These innovations I’m particularly excited about because of what they will mean for modders. Some of these ideas just need some tweaking to make them a more significant part of the game, rather than a footnote. The political intrigue system is clever. If you are part of a republic – like Rome or Carthage – then if you get too powerful then a civil war breaks out as people fear you becoming an emperor or dictator. If you become too weak, a civil war breaks out as people see opportunities to overthrow. In a tribal society, you merely have to be the most powerful chief. If you become too weak, a civil war breaks out. Army stances: This is how fortifications, ambushes, and a few other things are now handled. 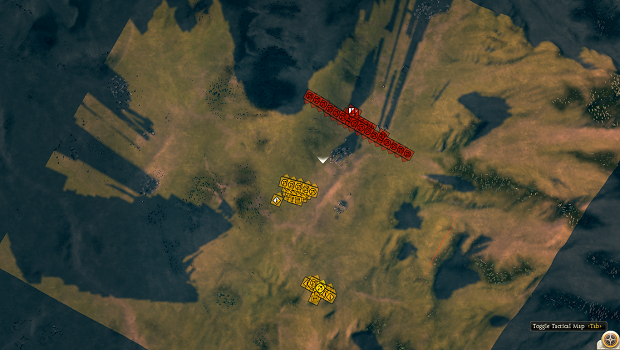 It’s a clever way for you to control what your army does on the campaign map. Put them in fortification stance, and they can no longer move but if attacked they have fortifications set up. Put them in raiding stance, and they reduce the province’s income and stability. Agents: Agents come in 3 flavours and you can use them in a wide variety of overlapping ways. For example, you can of course use a spy to assassinate someone. All agents and generals have 3 stats (authority, cunning, and zeal.) Therefore you have 3 different ways of pulling off an assassination – an authoritarian way (manipulate someone close to the target who will do the deed), a cunning way (poison them), and a zealous way (blade in the dark.) So which you choose will depend on your best stat. Now multiply this by the other 2 agents. For example, a dignitary might hire assassins with high authority, and a champion might challenge them to single combat with high zeal. As a final note, I really like champions. They can adventure, and lead small guerrilla groups for raiding strikes and harassing maneuvers. 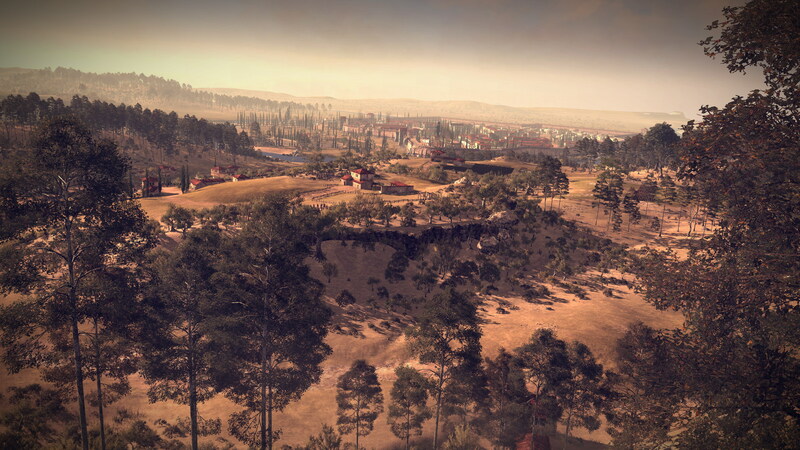 It’s a great way to represent what has previously been left out of Total War games. Regions and provinces. 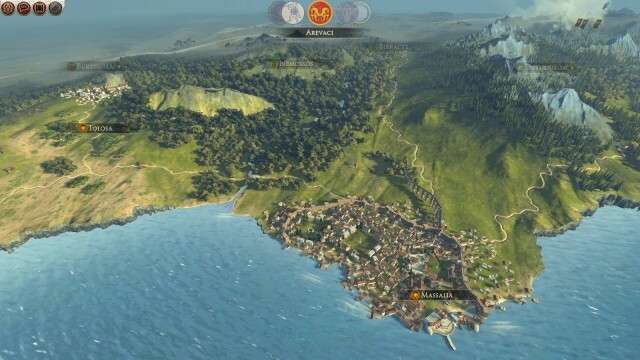 In a blend of previous games in the series, Rome II has a great system of regions and provinces. A province is made up of 2-5 regions. Each region has a city that controls it. The region designated as the capital of the province is a walled city. Basically, you capture regions, but most things (buildings, bonuses and penalties due to public order or characters, tax, etc.) are handled province-wide. So the more regions of a province you control the better, right up to when you control the whole province and you can set an edict which gives the whole province some sort of trade off (i.e. Bread and Games gives a public order bonus, at the cost of food.) This system gives a great blend of walled city versus unwalled city battle maps. And I’m seeing a fair amount open territory battles too, which is nice. 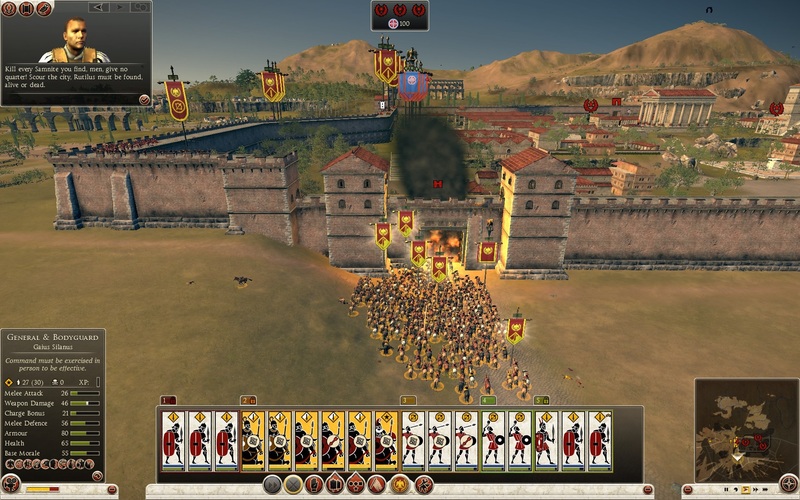 In previous games it usually devolved into constantly doing city wall sieges since every city had a wall and there was little need to fight in an open plain or unwalled city. Sea and land battles. I originally was not impressed. I thought: “What’s the point?” It’s a technological achievement, but I couldn’t see any real reason to do it. However, once the severe bugs were quashed, it actually is quite interesting. Although it essentially makes your siege weapons and horseback units worthless, it does open some possibilities. 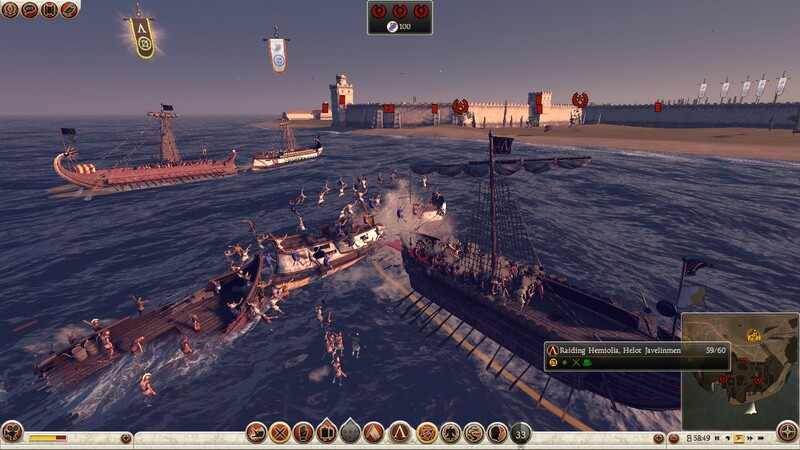 For example I attacked one city that didn’t really have good access except via sea. If I wanted to unload and attack by land it would have taken me at least 2 more turns to travel around to a beach, unload, then march on the city. Easier, then, for someone with few horses and no siege weapons (as I did at the start of the campaign) to assault via the sea. It’s also surprisingly fun beaching all your boats, unloading, forming up, and marching on the city. Finally, you can even sometimes get behind their walls by attacking from the port. A risky endeavour because it will only be a small force (the rest will need to unload outside the walls and burn down the gates) but it’s an interesting alternative. Battle AI. Although prone to occasionally do very odd things (for example attempting to run through my army to get to a capture point, without stopping to fight) I have also seen it behave very well. Having heard that “siege equipment is useless” because “you can just burn the gates down easily”, I have several times simply attacked a city, burned their gate down, and charged through… only to have the AI halt my advance with readied spear men in a semi-circle. Then, as I throw more men into the breach, they do the same – while peppering me with skirmishers and even sending in the elephants once all my men were nice and clustered together. It has been brutal and made me sorely wish I’d spent the time to build some ladders. 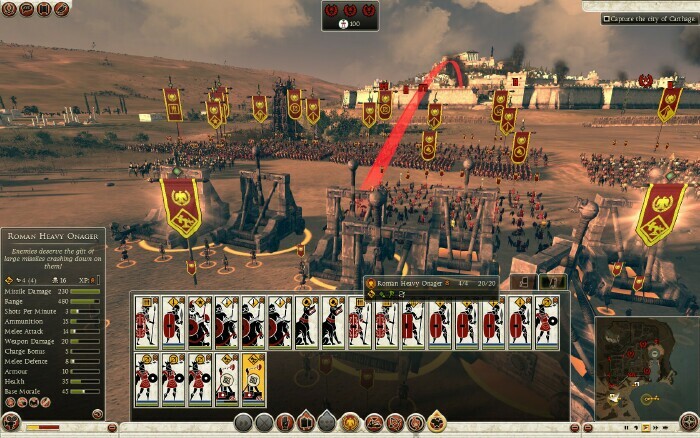 In the co-op campaign I have been splitting my forces and giving control to my friend, so we can assault multiple gates at once. The last battle we had was a bloodbath at both choke points, although we were ultimately victorious. Battle fog of war. Being able to use hills and valleys to hide your forces is a feature that has been a long time coming. Again, with help from my co-op partner, I sneaked a force of Gallic berserkers behind a small hill. My ally marched the bulk of our force directly into their face – a nicely formed battleline lined up ready to engage from a position of advantageous terrain. As the battle started my berserkers came screaming over the hill and fell upon their lines which disintegrated into chaos. I’ve never been able to pull off such a classic move in previous Total War games before, and the AI reacted quite realistically. That is not the only time we’ve pulled off a move like that. Public order. It’s handled differently, but I won’t go into details. Suffice to say, I really like this system better than any previous iteration. Furthermore, when a rebellion starts it does something very cool: A single unit army spawns in your territory and public order improves by leaps and bounds due to “Malcontents leaving for the rebellion.” What this means is, the longer you leave the rebels the bigger their army, but also the better your public order. So you really have a clever, dynamic choice as to when to engage the rebels. Perhaps you can’t deal with them right now, so their army grows. Or perhaps you’d prefer to put a stop to the rebels while they’re small and weak (but suffer from internal strife for years to come.) Or perhaps you’ll just let the damned malcontents leave and crush them all in one fell swoop. City Maps. There are tons of beautifully, hand-crafted city maps. Barbarian villages, or wooden-palisaded fortifications. Roman hamlets, or great walled metropolises. Several of the cities, I’m sure, have unique maps but you won’t run into the same map all that often in any case. It’s just brilliantly done. I think Rome is ready to play through the standard campaign a time or two. By the time Patch 4 is released, it will definitely be quite slick. The real strength in the game, though, will be when the mods start to arrive. 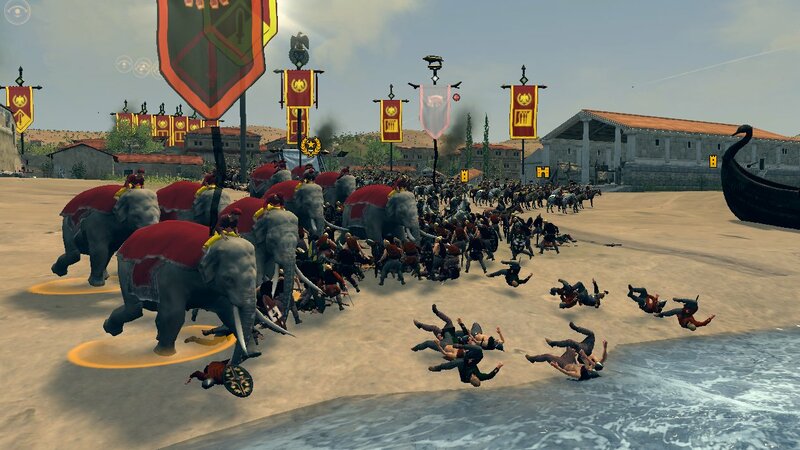 To my very great excitement, the Rome Total Realism team is back, ready to make Rome 2 Total Realism – just as Darthmod retires from modding to make his own game. 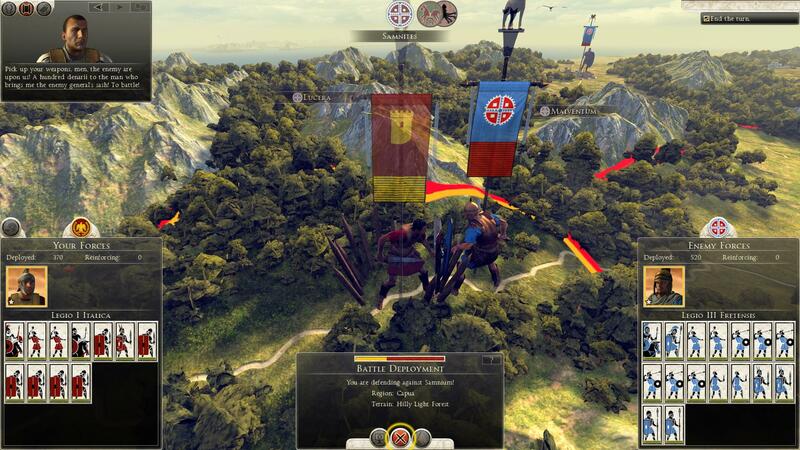 After a very shakey start, I actually think Rome 2 could end up being the best Total War game yet.